regional network of scientific libraries of Siberia and the Far East. 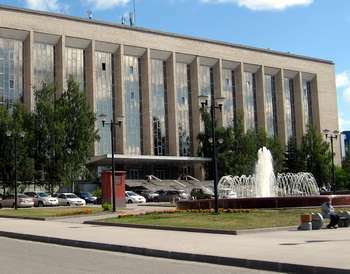 At present the State Public Scientific-Technological Library of the Siberian Branch of the Russian Academy of Sciences is the largest library and information centre of the Asian continent. Its collections are the comprehensive of their kind in the country, with a stock of more than 14 500 000 scientific and reference books, journals, patents and other printed sources of information. From the day of its opening, the Library, the only one in Siberia, gets one copy of every published work in Russian. Every fourth publication here is in a foreign language. The Library is especially proud of the department of manuscripts and early printed books. Its unique collections are of great scientific and historical importance. The Library has the richest collection of valuable old Russian books. Its overwhelming part is presented by books and manuscripts that have been collected by expeditions throughout Siberia and the Far East. The Museum of Book has been founded at the Library in 1992.